Opera, the web browser supported by bitcoin mining giant Bitmain has confirmed that it will add a native ethereum wallet to the desktop version of its web browsing software. The Oslo-based firm made this revelation on Wednesday, mentioning “strong interest” in and an “overwhelming positive response” to the private beta for its mobile browser, which now has a built-in Ethereum wallet that supports both ether and Ethereum-based tokens. Users need to download the mobile browser on an Android device and activate the native cryptocurrency wallet to be able to access the feature in Opera’s desktop browser. After that, they will be able to connect it to their PC browser by scanning a QR code. The wallet acts as a decentralized application (dApp) browser in addition to storing tokens, which allows users to communicate with dApps such as Augur and CryptoKitties without manually downloading extensions. Keys to the wallet are stored on the user’s phone, so they must sign all payments on their mobile devices using a fingerprint swipe. “Some users prefer to perform crypto payments or interact with Dapps on their desktop. They can now do so in a simple way by using the same wallet they have on their mobile phone,” added Hamel. 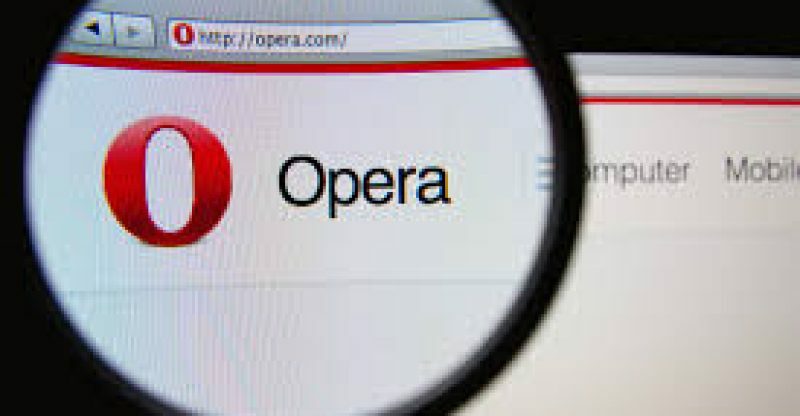 The new move comes follows Bitmain’s payment of $50 million to purchase a controlling stake in Opera, who has a major presence in Africa thanks to its browsers and FinTech subsidiaries. “At Opera, we try to stay at the forefront of innovation. Our next aim is to make crypto-integration mainstream. We believe blockchain technology has the power to transform the web of tomorrow and expect it to make a big difference in the years to come,” said Kolondra.